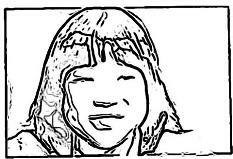 My name is Doni. I'm glad to join the school lunch world tour. 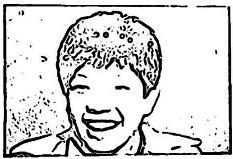 And I'm happy to be part of Martha's project. We, Rei and Doni, are trying to show you what the school dinner is in Japan, as well as in the other countries recently since 2005. Rei is a dinner lady working at the school caterer which makes lunch for over 8,000 elementary and junior high school students in a city of Japan. She sends me a picture, and I report the lunch menu on the day. I write them on weblog "Kyushoku Banzai" with the news around the world regarding school dinners, children's health, and so on. I works at a company which has nothing to do with school meals or food industry at all. Then why I work on this weblog? Just because I loved the school dinners I had when I was a student. I sometimes visit a school to eat school lunch even now. Actually Rei and I were classmates in elementary school. It means we ate a same lunch at a school. And now, Rei is cooking for children at the same school district in our home town. The above pictures of us, it is took in our childhood. Dam Dam Noodle is Szechuan dish of noodles covered with a sauce of sesame paste and chili oil. Namul is a Korean dishes consisting of seasoned vegetables. Today’s menu is featured spicy Asian food. I disclose the lunch menu for this week. The menu is planned daily by dieticians who is qualified by a state examination. Dieticians is assigned at each school or central kitchen to the number of students. Printed lunch menu is distributed to all students on beginning of the Month at the school. Students goes back to home and hands to mother. Parents don't know only the menu, also each ingredients. Ingredients are divided into three major food groups, 1) protein for building cells, 2) carbohydrate & fat for body energy, and 3) vitamin & mineral for body work properly. In Japan, 99% of elementary school students and 85% junior high school students eat school lunch as of 2012. Maybe you will be surprised by the different ways Japan and Europeans; every students eat from the same menu. Let the school know if there are any foods a child cannot eat due to allergies or religious reasons. There is one more lunch picture. My friend, a young dietician dispatch a picture of Today's school lunch to show you. It is a typical Japanese style menu. 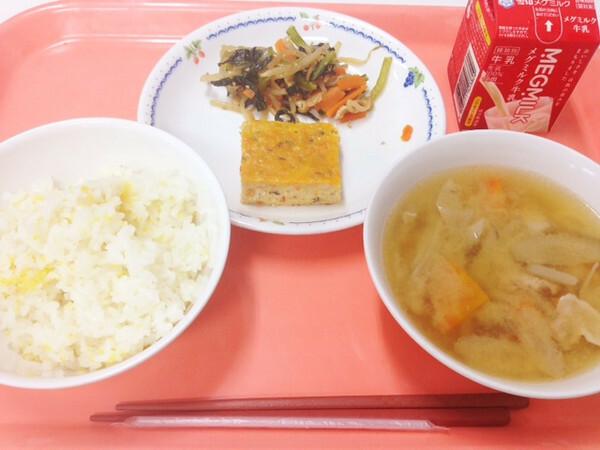 Rice with Millet, Miso Soup with Pork & Vegetables. Egg Rolls, Saute of Japanese Mustard Spinach, and Milk. 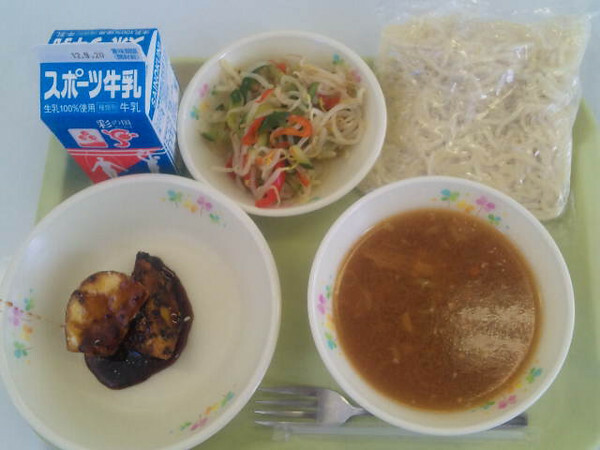 I will tell you the commonly scenes in daily school lunch time and dietary education in Japan. Thanks for the very interesting post! I was wondering something--I recall reading somewhere that something like 80% of Japanese people are lactose-intolerant. Is milk a "traditional" Japanese beverage, or is it just served to children? Thank you for your question. I also heard that study and figure you mentioned. School lunch program in Japan started to provide 200ml milk since 1958. There is 250ml carton now. I drank every day. And that doesn't matter. On the other hand, Some people can't digest milk. It is true. I think it is according to quantity of milk. When we become adults drink milk very little. Because thay have so many options. I love that the parents get a complete nutritional listing for the foods. Also, I like that the dishes are real dishes. I think it is nicer eating from real, reusable dishes instead of styrofoam disposable ones. Yes, I wish our school lunch menus here in USA also listed ingredients. Right now I have to call the food service office for the school district and have them look up every single entree. Very inconvenient for me and the school district employee! 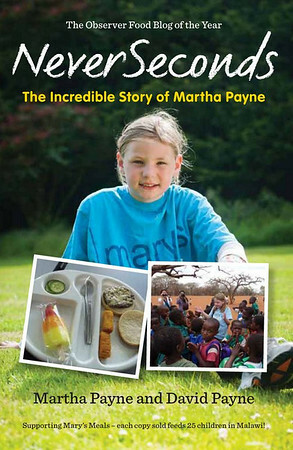 Saw that Martha's blog featured on Channel 4 Dispatches:'School Dinner Scandal'. Can't believe how shocking they have become with Dominos competing to open near schools!!! So glad I send mine in with pack ups now but I wish the schools here had dinners like those on the blog here. At the end of the post I asked for my readers to donate to Marys Meals through your Just Giving page. It would be awesome if you can look at my blog and comment!